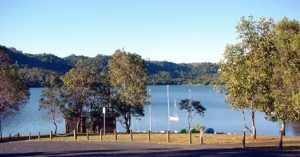 Maleny has 36 restaurants and cafes and Montville has 18 restaurants and cafes. Catering to all tastes and requirements – from raw food, gluten free to fine dining – we’re sure you will enjoy exploring our culinary trails. Delivery and take away menus are included in your room. 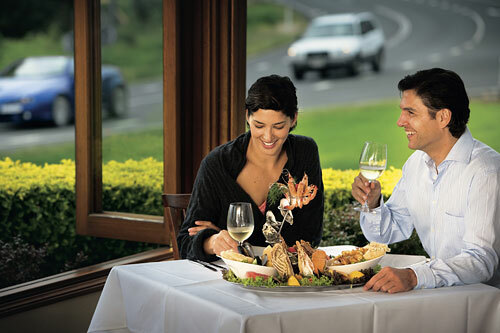 Explore Maleny restaurants and cafes. Located on the way into Maleny the Big Barrel cellardoor is hard to miss. Our friendly staff will guide you through our range of wines and there’s also a range of local artworks and products to enjoy. 787 Landsborough – Maleny Rd, Maleny. 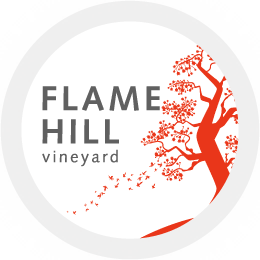 Flame Hill produces 100% estate-grown wines, hand-harvested and sourced from plantings up to 80 years old on our Sunshine Coast hinterland vines and our cool climate Granite Belt property. The Hinterland, with its majestic, mysterious Glasshouse Mountains and lush rain forest, is a unique backdrop to the creativity of its artistic community and we are blessed with many art galleries who have developed fine reputations through service and in-depth knowledge of the artists. 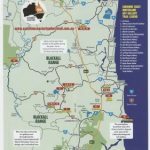 Follow the link for more information from the Sunshine Coast Hinterland Art Gallery Trail Drive Map (2015 edition). Maleny Botanic Gardens currently cover 14 acres and are always expanding. Situated on one hundred and ten acres, they are surrounded by magnificent rainforest with spectacular views of the Glasshouse Mountains. Over 6 kilometres of walking paths meander around thousands of different plants, ranging from roses, azaleas and annuals to some of the rarest cycads in the world. All of which are complemented by numerous lakes and waterfalls – providing countless options for photography. 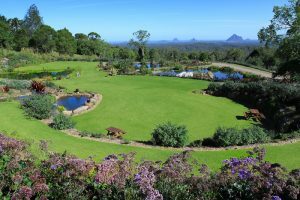 The gardens are situated on the corner of Maleny-Stanley River Road and Mountain View Road and are open from 9am – 4.30pm 7 days, except Christmas Day. Maleny Golf Club is located on Porters Lane Maleny is 4 minutes (2.3km) away from your room. The first nine holes are open for play 7 days a week. Visitors are welcome to play and we operate competitions Tuesdays, Wednesday, Thursdays and Saturdays. Mary Cairncross Scenic Reserve comprises 52 hectares of National Estate listed subtropical rainforest overlooking the Glasshouse Mountains. It is a remnant of the rainforests that once covered the Blackall Range. This forest, has over 2 kilometres of walking tracks, boardwalks and viewing platforms within the Reserve. In addition to this there are …. Located on Kondalilla Falls Road, Montville – Kondalilla National Park (327 ha) derives its name from an Aboriginal word meaning rushing waters. 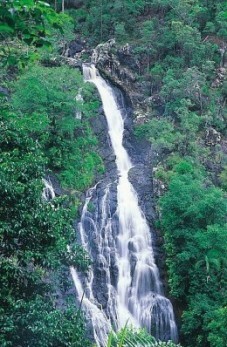 Kondalilla Falls, where Skene Creek drops 90 meters into a valley of rainforest, is a spectacular sight. 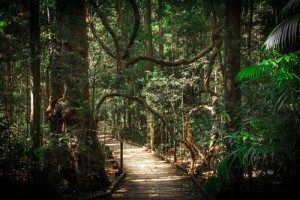 Check out Walks – Kondalilla National Park. Picnic Creek circuit 1.7 km. Kondalilla Falls circuit 4.7 km. Allow 1.5 – 2 hours from the picnic area. Class 4 track – Moderate to Hard. This walk follows the Picnic Creek circuit down the escarpment and includes a lookout with views of Kondalilla Falls. A reasonable level of fitness required – uphill section with over 150 steps. It winds down through the rainforest to the base of the waterfall and continues back up the ridge where you can see emergent bunya pines with their distinctive symmetrical dome shapes. The walk then brings you to the rock pool above the waterfall on Skene Creek. Continue back up the escarpment to Picnic Creek circuit back to the picnic area. The great walk’s multiple access points (Baroon Pocket, Kondalilla National Park, Mapleton Falls National Park & Mapleton National Park) offer diverse walking opportunities including—58 km walk with overnight bush camps; multiple full day walks, day walks and half-day walks. The walk encompasses gorges, waterfalls, rock pools, scenic views, warm subtropical rainforest and tall open eucalypt forest, with more than 100 species of birds, about 70 reptile species and more than 30 frog species recorded. (allow 1–2 hrs.) Class 3. One half day walk starts at Baroon Pocket dam (a short 10-minute drive from our residence) on Baroon Pocket Road. This walk passes through open woodland ridges and crosses bridges and boardwalks over palm- and vine-forested streams. The Narrows Lookout provides a unique view over the Narrows Gorge. Further up the track a boardwalk is in place to protect the habitat of the rare hip-pocket frog Assa darlingtoni. The Baroon lookout offers views of Obi Obi Gorge, Baroon Pocket Dam and its catchment. The Baroon Pocket Dam is a rock and earth-fill embankment dam with an un-gated spillway across the Obi Obi Creek, which is located in the South East region of Queensland, Australia. The main purpose of the dam is for potable water supply. Access is via Baroon Pocket Road, North Maleny and Narrows Rd, Montville. Obi Obi Creek runs 12 kilometres from Gardner’s Falls down to Baroon Pocket Dam. The Obi Obi below the Baroon Pocket Dam is said to be a grade 3 to 4 kayak run at medium water levels, and a 4 to 5 run at higher water. Water levels are a key factor in difficulty levels.